The Beautify Perfection Peel is One of the Best Peels Available! The Beautify Perfection Peel is a Medical Grade peel that works! We had our Cosmeceutical Chemist curate the ultimate peel taking the best of both the VI Peel and the Perfect Peel to create an even better peel! It is a combination of five different acids to provide maximum skin turn-over and renewal. It also contains Glutathione, the Body's Master Anti-Oxidant and a high dosage of Vitamin C, both of which, are great for your skin! Your skin will be more refined, brighter, have smaller pores and even skin tone, creating glowing, super-rejuvenated skin! The Beautify Perfection Peel contains a synergistic blend of powerful ingredients suitable for all skin types. This peel provides dramatic results with virtually no pain, no skin preparation and little downtime. Why wait weeks or months for results? Enjoy radiant, younger looking skin in about a week with the Beautify Perfection Peel! The The Beautify Perfection Peel will improve the tone, texture and clarity of the skin; reduce or eliminate age spots, freckles, and hyper-pigmentation, including Melasma; soften lines and wrinkles; clear acne skin conditions; reduce or eliminate acne scars; and stimulate the production of collagen, for firmer, more youthful skin. Beautify Perfection Peel also works well in conjunction with lasers, injectables and post procedure. The peel provides superior results for all skin types (Fitzpatrick 1-6). Regular use of the Beautify Perfection Peel (four to six peels per year), along with proper home care, reverses sun damage. 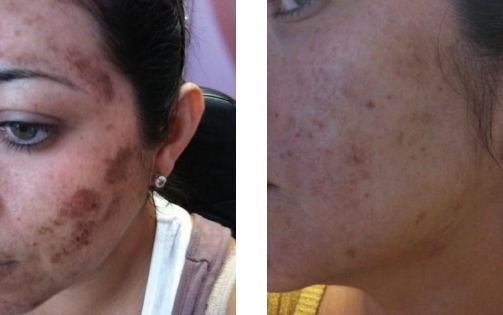 It treats hyper pigmentation including Melasma, acne and acne scars, loss of firmness and rosacea. The peel is also suitable for the eye area, chest, hands, arms and back. The good news is; you see instant results even with just 1 peel! Why Choose The Beautify Perfection Peel? Beautify Perfection Peel represent the next generation of chemical exfoliants unlike any others you may have experienced. Each treatment includes specially formulated post peel kit which is essential component for treatment success, ensuring superior results to improve your skin. ANTI-AGING - Reverse the effects of sun damage, environmental factors and time, to enhance the skin's natural beauty and luminosity. ACNE PRONE - Beautify Perfection Peel PRUIFY addresses the main causes of breakouts, killing p. acnes, clearing impurities and calming inflammation. 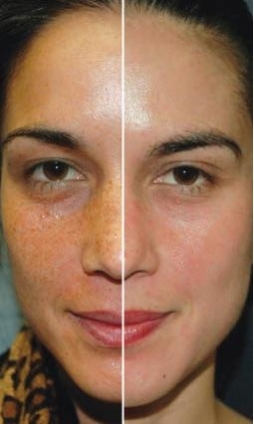 HYPERPIGMENTATION - Dramatically improve melasma, PIH and UV induced hyperpigmentation. SENSITIVE SKIN - Improve sensitive skin conditions including rosacea, eczema and psoriasis. COMFORT - Our synergistic blend of ingredients allows for a virtually painless peel experience. CONVENIENCE - Each treatment takes less than 20 minutes enabling the patient to return normal daily activities immediately. 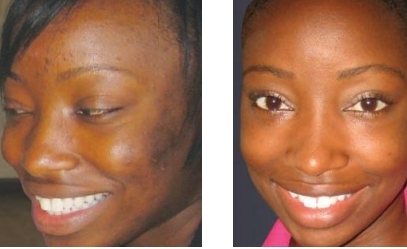 MINIMAL HEALING TIME - Patients enjoy healthy, youthful, beautiful skin in about one week! After close examination, Beautify Perfection Peel was determined to be completely safe within intended use. Crow's Feet line improvements were "statistically significant for the spacing parameter, and trendwise (directionally) significant for five additional parameters." Fine Lines & Wrinkle improvements were "statistically significant. Overall, the changes were in the direction of smoother fine line texture, i.e., decreases from baseline for Rz, Shadows and NumWr." Up to 71% of participants reported a significant improvement in "improved fine lines" and "skin suppleness." Signs of minor irritation decreased quickly after participants used the Beautify Perfection Peel . 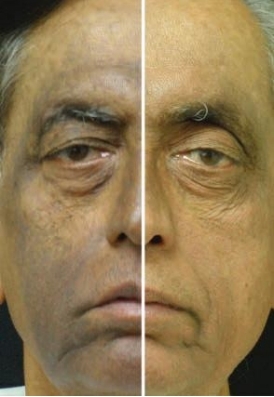 Participants rapidly showed a reduction in melanin content and increase in collagen content. 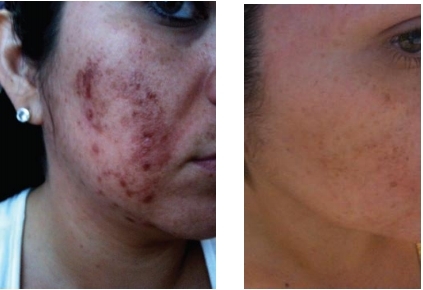 Just two weeks after Beautify Perfection Peel use, participants showed a hemoglobin increase, suggesting increased blood flow to the treated areas. Q. How many treatments are required to show visible results? A. A single Beautify Perfection Peel will achieve significant repair and impart a healthy glow to the skin. 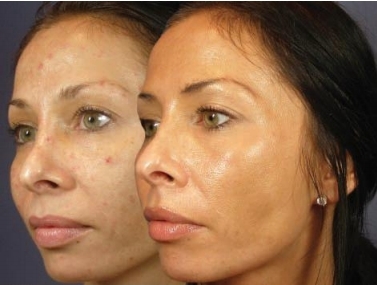 It is a true restorative, painless repair of damaged skin cells resulting from UV exposure and acne. Best of all, it is an aging preventative for younger patients with no visible damage. A. Patients will feel a slight tingling sensation for a few seconds which subsides almost immediately. The peel is applied topically, with numbing of the skin taking place after your first pass. Q. What about normal activities following the Beautify Perfection Peel? A. There are no restrictions. Normal activities may be resumed immediately after the peel. For patients that exercise routinely, low impact aerobic activity would be advised for 72-96 hours. Q. How is the Beautify Perfection Peel different from other peels? A. Peels of the past have emphasized the "no pain, no gain" approach to skincare. 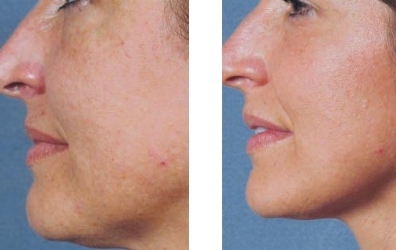 Deeper, more painful peels with extended downtime were thought to produce better results. The Beautify Perfection Peel is painless, yet produces dramatic, visible results in just days. Q. Does the Beautify Perfection Peel make the skin thinner? A. No. 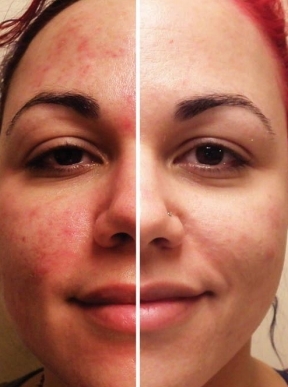 By sloughing off old cells, skin renews itself at a faster rate. The skin actually thickens because the dermal matrix is stimulated to make more collagen and elastin. Full Face Peel to the Jaw Line, Including Your Nose & Eye Area. 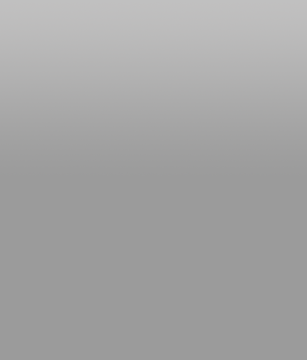 *You cannot do Face, Neck & D�collet� as the same time. Schedule Your Beautify Perfection Peel Today � You'll Love It!